Dimensions: Length 20 cms , Width 10 cms Depth 3 cms. ✅ Length 4", Width 1.5", Height 7.75" inches. Rustic Town is connected with a number of Organizations within India which work to bring employment to artisans and keep alive traditional skills. 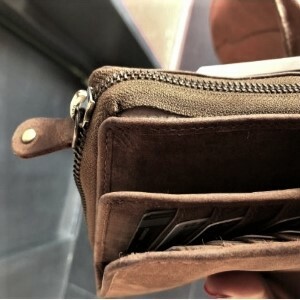 This wallet is completely a super functional wallet. Keep your things well organized with us. Designed with vintage appearance, it is an ideal for both of advanced generation life and business suit. Crafted using high-quality thread and enhanced for durability with brass buckles, durable YKK zippers. 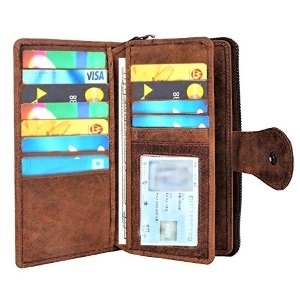 It features a zipper on around of the wallet to hold things that you need to access often. Top Brown/Tan Leather with luxury looking and feeling. 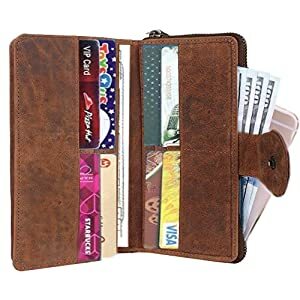 Same stitching matches the brown color of leather wallet. 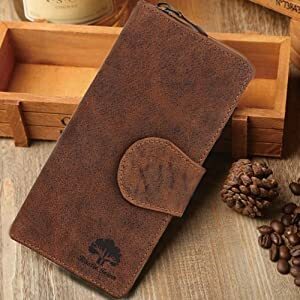 The leather wallet gives a wonderfully unique and antique look with use. A nice travel shopping purse wallet/clutch option and a perfect companion and gift for your close ones. High-quality strong YKK zipper, very smooth. 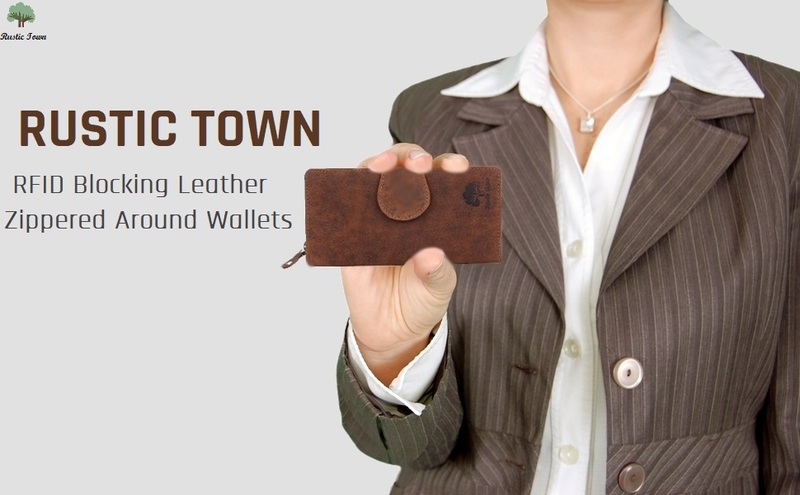 RusticTown carefully selected buffalo leather, scratch-resistant and durable. 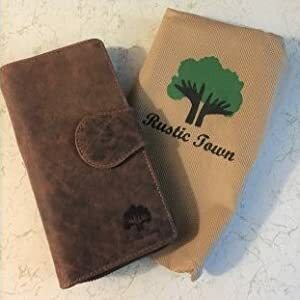 This Rustic Town Zippered RFID Blocking Bifold Leather Clutch Wallet is one of the most special gifts for Birthdays, Anniversaries, Mother's Day, Christmas and other Special Occasions. Comes with Cool Dust Bag!